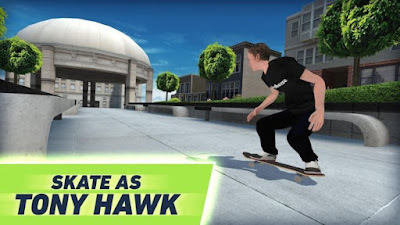 Tony Hawk's Pre-register Now . Tony Hawk's Skate Jam is brand new skate game and it's coming to iOS/Android . You can Pre-register right now on google Play and App Store . There are over 15 different skate parks to do it in , which features street , park and vert sections. You can also challenge other players online in global skate jams . Tony Hawk's Skate Jam . Street , Park and Vert Skate disciplines and dozens of Birdhouse skateboards to collect .